(1) If a landlord requires a prospective tenant to complete a rental application before residing in a rental unit, the landlord must complete processing of a rental application submitted by a prospective tenant who is a servicemember, as defined ins. 250.01, within 7 days after submission and must, within that 7-day period, notify the servicemember in writing of an application approval or denial and, if denied, the reason for denial. Absent a timely denial of the rental application, the landlord must lease the rental unit to the servicemember if all other terms of the application and lease are complied with. (2) If a condominium association, as defined in chapter 718, a cooperative association, as defined in chapter 719, or a homeowners’ association, as defined in chapter 720, requires a prospective tenant of a condominium unit, cooperative unit, or parcel within the association’s control to complete a rental application before residing in a rental unit or parcel, the association must complete processing of a rental application submitted by a prospective tenant who is a servicemember, as defined ins. 250.01, within 7 days after submission and must, within that 7-day period, notify the servicemember in writing of an application approval or denial and, if denied, the reason for denial. Absent a timely denial of the rental application, the association must allow the unit or parcel owner to lease the rental unit or parcel to the servicemember and the landlord must lease the rental unit or parcel to the servicemember if all other terms of the application and lease are complied with. (3) The provisions of this section may not be waived or modified by the agreement of the parties under any circumstances. * “Servicemember” means any person serving as a member of the United States Armed Forces on active duty or state active duty and all members of the Florida National Guard and United States Reserve Forces. No breach of duty to disclose not readily observable material defect to buyer absent evidence that seller had actual knowledge of the defect and that it was material. In early 2005, the Eimans purchased a plot of vacant waterfront land as a potential site for their future home. After they acquired the property the Eimans were told they had to remove invasive Brazilian pepper trees from the southern edge of the property and stabilize the land where the trees were removed to prevent erosion before they could obtain a building permit. To comply with the requirement, the Eimans hired a third party to clear the trees from the property and stabilize the cleared area with fill dirt. Mr. Eiman visited the property on several occasions during this work. Beyond these improvements, the Eimans never conducted any construction or assessments of any kind to determine the suitability of the property for building. In 2006, the Sullivans purchased the vacant plot from the Eimans for the express purpose of constructing a residential home. The parties utilized a standard vacant land sales contract that indicated the Sullivans purchased the property in an “as is” condition. The contract also provided for a brief period of time during which the Sullivans could conduct any assessment they deemed “appropriate to determine the Property’s suitability for the Buyer’s intended use.” The Sullivans never performed any such assessments on the property to determine whether it was suitable to build their home. After closing, the Sullivans’ builder performed a subsurface investigation of the building site revealing “subsurface conditions consist[ing] of fine sand with organic silt (muck)” at various depths within the proposed building site that would require deep foundations and piles to support construction of a house. Notably, the Sullivans’ proposed building site was not the same area that the Eimans had cleared and filled. 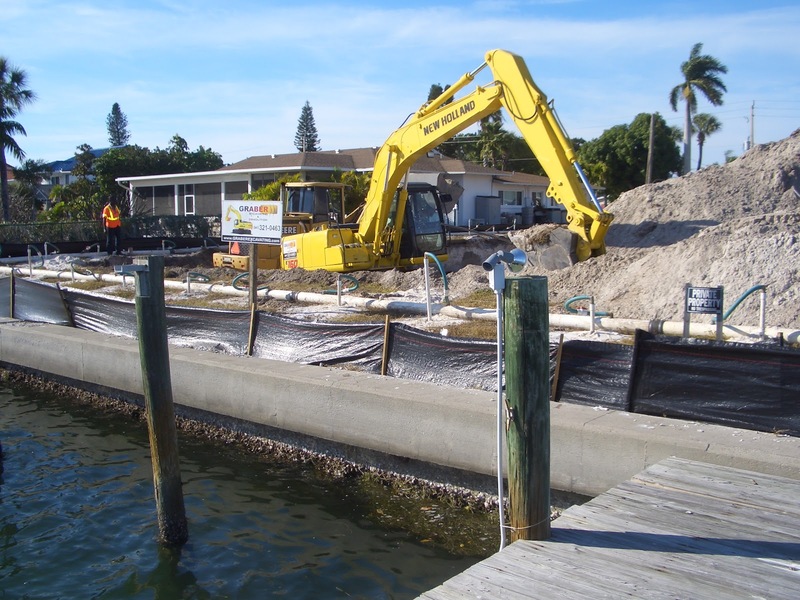 The Sullivans’ builder increased its initial estimate by $65,000, to install the necessary pilings . The Sullivans then filed a complaint against the Eimans and their real estate broker alleging that the parties breached their duty under Johnson v Davis by failing to disclose to the buyers a fact known to the sellers and not readily observable, that materially affected the value of the property. While the broker prevailed on summary judgment the trial court entered a $65,000 judgment against the Eimans. On appeal, the court reversed, finding that the Sullivans failed to present competent, substantial evidence of the existence of a fact that materially affects the value of the property in question and that the Eimans had actual knowledge of that fact. First, the Sullivans did not plan to build their home on the area filled-in by the Eimans. Consequently, the existence of muck under the filled-in portion of the property cannot be a fact materially affecting the value of the property as alleged in the complaint because it would not actually prohibit or increase the cost of the construction of the home. Secondly , the Sullivans presented no evidence that the Eimans had actual knowledge of this defect. “[T]o hold the seller liable under Johnson, the buyer must prove the seller’s actual knowledge of an undisclosed material defect.” Jensen v. Bailey, 76 So.3d 980, 983 (Fla. 2d DCA 2011). The Sullivans presented no evidence that, prior to the removal of the trees from the southern portion of the property, the ground was exposed or the muck was visible. Although Mr. Eiman testified that he visited the property “several times” while it was being cleared and filled, there was no testimony from Mr. Eiman or any other witness that Mr. Eiman observed dark “muck” soil in the area or that he even would have known what the dark soil was if he had observed it. Moreover, even if Mr. Eiman had observed dark soil underneath the area covered by the pepper trees, there would still be no evidence that he knew anything about the subsurface conditions of the area where the Sullivans intended to build their home. As the complaint accuses the Eimans of knowledge of a fact that “would either prohibit the construction of their home or significantly and materially increase the cost for same,” any knowledge of the subsurface conditions of the land outside of the proposed construction site would not be germane to the issue raised in the complaint. Because the Sullivans failed to present any evidence that the Eimans had actual knowledge of the subsurface conditions of the property, the trial court erred in finding the Eimans liable under Johnson.